Changed the title of the thread from “DARK AND LIGHT - SHARD OF FAITH - DLC mit NEUER MAP!” to “Ab 09.10.2018 DARK AND LIGHT - SHARD OF FAITH - DLC mit NEUER MAP!”. Gaia was corrupted and torn apart by the darkness. Ganareth, the Gods’ land, has long been shattered; Shadow shrounds the universe, jeopardizing Gaia and Archos. Now it is time we unite and stop the fight among ourselves. Following the United Army, we travel to the corrupted Ganareth’s Shard through the ancient portal…..
Shard of Faith is the first expansion to Dark and Light. Players will join the expedition force traversing to Gaia, the mother planet corrupted by darkness, and to Ganareth, the land where Gods used to lived in. Splendor was no longer visible as the entire land was cast into the magical universe. Cities are shattered in ruins. Yet we are still able to hear the Gods' word of encouragement, inspiring us to find the ancient altars, find their believers, and with the help of new races, defend the encroaching dark force. We’ve been dedicated to the perfection of our game during EA, fixing bugs, optimizing performance, iterating art assets and engines. At the same time, we are hoping to present more about Dark and Light to our adventurers, a larger universe that once lived in grandeur. That is why we bring Shard of Faith out, a part of Dark and Light that not only has the storyline and a brand new map, but also revamp and optimization in art and codes. These optimization is expected to be implemented into all the maps in full release. We will be closing servers for maintenance at 12 am PDT on 10.9. It will take longer time for the maintenance to complete. We estimate it to be finished around 10 am PDT on 10.9. 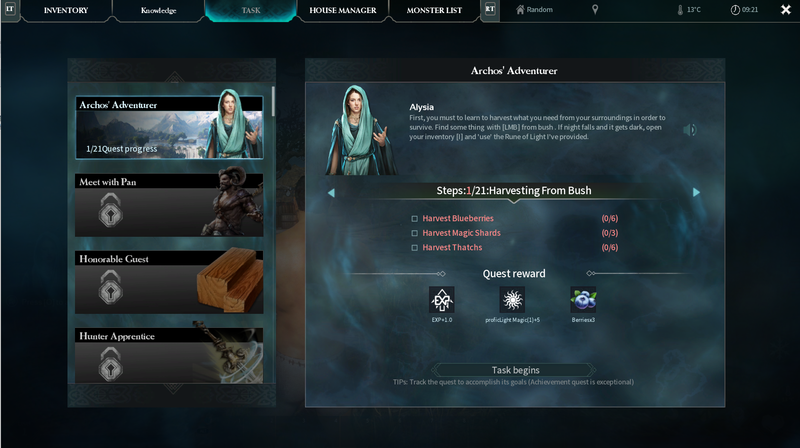 We sincerely invite our adventurers to select Shard of Faith when you are selecting a server to join, to try the new servers and experience the new DLC. 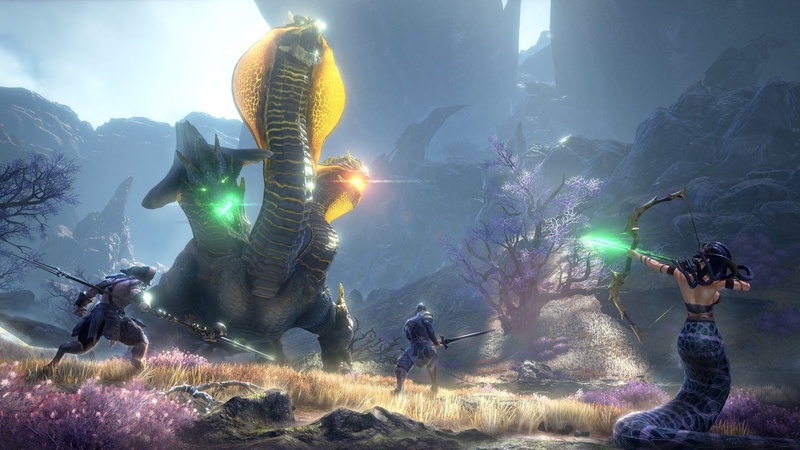 Pre-existing DnL players will gain access to Shard of Faith for free. New players will have access to both The Sacred Path and Shard of Faith once they purchase DnL. 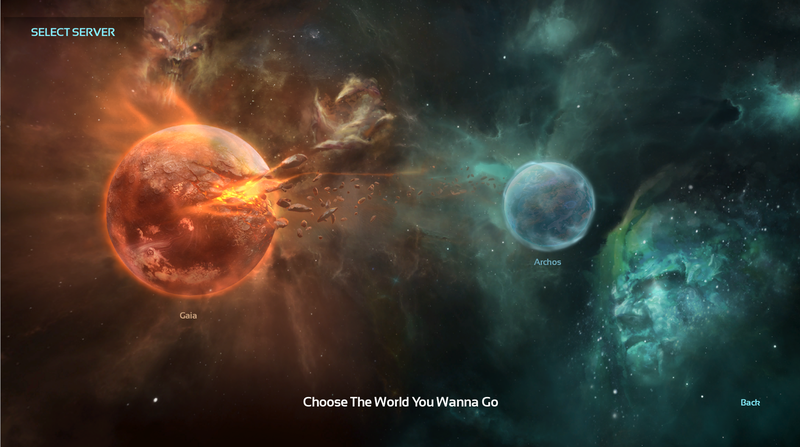 The below map selection screen is where you can choose which world you would like to play. We recommend players to try Shard of Faith as it will bring you entirely new gameplay experience. Shard of Faith features a delicate new map, with the same size of the vanilla map. The DLC map is divided into five larger areas, the Red Forest, the Acrid Swamp, the Howling Sands, the Anyltheas’ Hollow, and the Broken Spine, each of which has its own terrain characteristics and distinctive biome. Players will start from the four outposts, travelling to the four race camps, their temples, and dozens of dungeons that pose great challenge to your skills. A DLC-exclusive Knowledge, Faith, will be unlockable in the DLC map. Satyr Faith, Saurianian Faith, Gorgon Faith and Necromancer Faith. Travel to their camps and temples to learn about their lores, complete race quests to unlock new craftable items and recipes. Incarnation is the highlighted feature in DLC. It is different from shapeshift magic. Once you establish your rapport with the four races, you will be granted the ability to incarnate into race heroes. There is no time duration to your incarnation. Incarnated characters will have greater increase in stats, access to exclusive weapons, and wearable equipment. What is more special is that each incarnation will have its special abilities and skills. Gorgon incarnation, with her climbing ability and swift swimming ability. Once you unlock your incarnation stone to higher tiers, you will have access to her Poisonous Mist and Petrifying Gaze. Mobility, plus venomous bow and arrows are the keys to your combat with enemies. Satry Incarnation, with his great leap ability and thunder-wind wielding ability. Once you unlock your incarnation stone to higher tiers, you will have access to Aerial Thrust, and Platform Creation. You will quickly penetrate the enemy formation and use your agile thrust to damage them. When equipped with their exclusive mythical artifacts, incarnations will be given greater might. We will have more incarnations to come. Different from the conventional taming, Magical Taming requires more delicate operations, better fighting skills and more coordinated cooperation as a team to achieve the goal. It is a more efficient taming system, that will even allow you to tame the new mythical creatures. 16 new creatures will join Shard of Faith. They lived in various biome in the DLC map, Owl from the shrub; Scarab from ores; Kasha, the hidden hunter in the Red Forest; Bufo, the swallower in the Swamp, Dharkhu, the climber and poison wielder in the Sand. 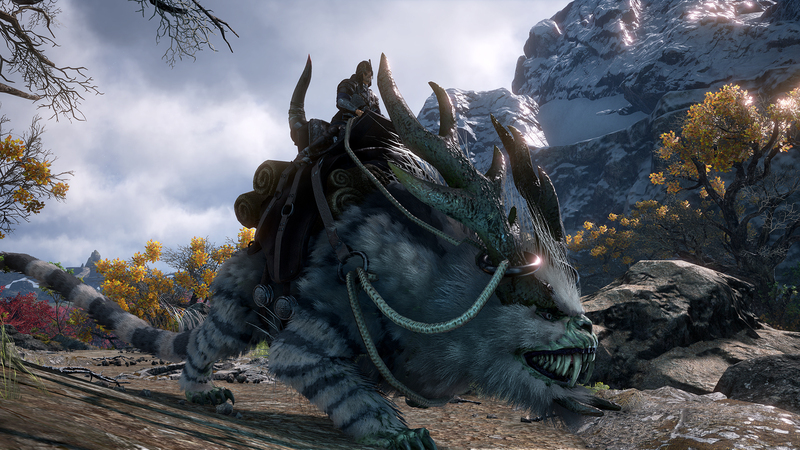 Each creature has its unique feature and gameplay. Explore the map and tame’em all! Each creature will have its elite version and Boss version. 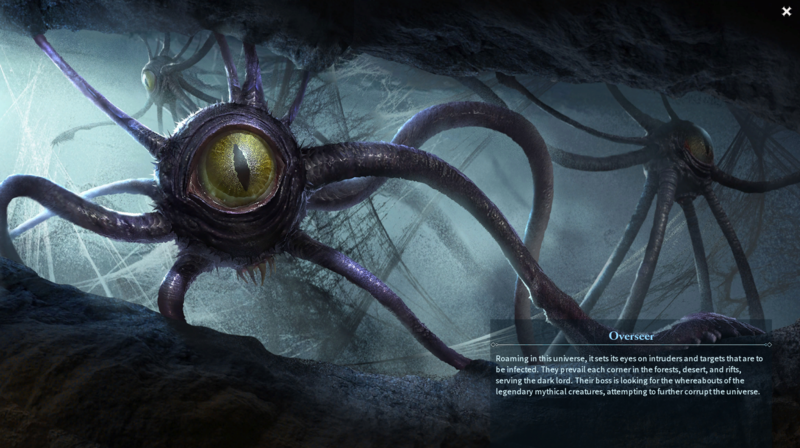 You will need to locate their hideouts and altars through which you can summon them. Craft the mythical artifact you unlock in the Faith Knowledge to learn about the weaknesses of these elites and Bosses. You will find it easier to defeat them and be rewarded greatly. Dozens of new items are available in DLC. Runes that change you into a tree to hide yourself from pursuing enemies; Dark Wraith and Dark Fallen summoning staffhead to help you crush your enemies; powerful weather magic to summon acid rain and poisonous mist that can turn structures into vulnerability. Access the Quest screen to initiate the quest tracking, so that you can complete them to claim your quest rewards. Voiceover is added to accompany the Quest system. We revamp the quest system to guide new players in familiarizing themselves with DnL, but for sandbox players, you are more than welcome to selectively finish the quest and enjoy the game to your own liking. 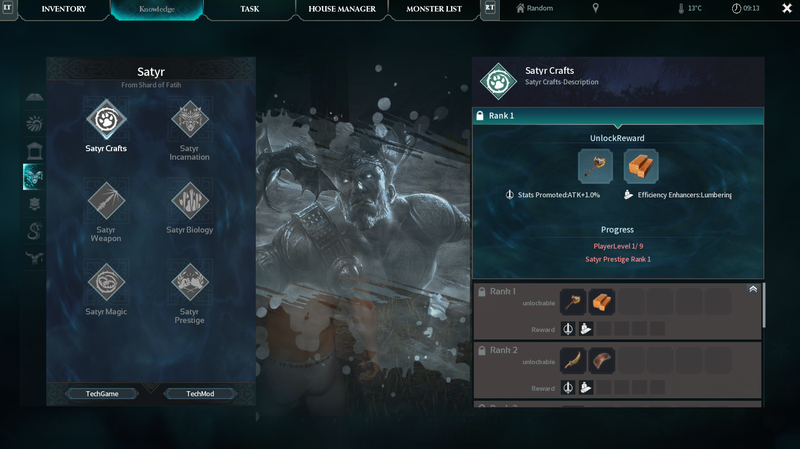 All your gameplay behavior will now grant you Knowledge experience, which will accumulate to activate your Knowledge Node and unlock new craftable recipes. You don’t have to choose which Knowledge Node you want to unlock. Any players can ultimately unlock all recipes. Access the Knowledge system to learn what recipes each Knowledge Node unlocks. Structure health is adjusted: Manor structures health will follow those designated in Chaos servers, while Iron, Stone, Wood, and Straw structures will have lower health, making them more vulnerable to demolition. • Adjust the crafting material requirement for all structures: foundations and pillars are more expensive now, while doors, walls, and decor pieces are less costly. • Adjust weapon damage and crafting cost. Consumables are now cheaper. • Reduce the cost for crafting Refined Square Cast, Refined Obsidian Block, and Chaos Essence. • Upgraded graphic engine with better graphic effect. • Optimize lighting, shadows, materials, character skin so that they look more real and natural in lighting. • Greatly reduce the game loading time. • Optimize game performance for better framerate. • Fix various lagging issues. • Fix various black screen issues. • Fix the rubber-banding issue with harvesting and attacking especially in higher framerate. • Optimize the performance cost for the map. DLC is divided into several areas, each of which has its distinctive resource and terrain, hence we predetermine a number limit for allowable structure pieces in each zone. Once DLC is released, all types of player death will no longer drop equipment and crafted material. Q: What will be in the drop list, and what is excluded? A: Harvested raw material will be in the drop list, but you can still locate your corpse to collect them. In the inventory, item TIPs will have specific TAG to mark those items that are in the death drop list. Q: Is this exclusive in Shard of Faith? A: It also applies in The Sacred Path. Q: I am a dedicated server hoster. Will I be given the freedom to configure PVP death drop? A: We added PVE not dropping inventory in server setting. You are welcome to check or uncheck this option while you are hosting. Q: Does death not dropping inventory mean my equipment and items are absolutely safe? A: Please note that death not dropping inventory doesn’t mean that your equipment and items are absolutely safe. Please keep them in safe locations especially when you are offline. Q: Is there penalty for death? A: Once PVE death not dropping is implemented in the server, player stats will be halved after they respawn from death. Please use consumables accordingly to quickly recover your stats. At the same time, all your equipment and items with durability will suffer from 10% loss. However, we have bonfire set up in the United Army campsites, giving you an Buff to help restore your equipment durability. • Modify the attack and running animation for some weapons. Flying is going to be restricted in Shard of Faith, as we ban some flying items that are often used in vanilla. To compensate for that, we provided a lot of supplemental items in Shard of Faith. We would like to extend our appreciation to DnL adventurers who participate in our DLC closed test. 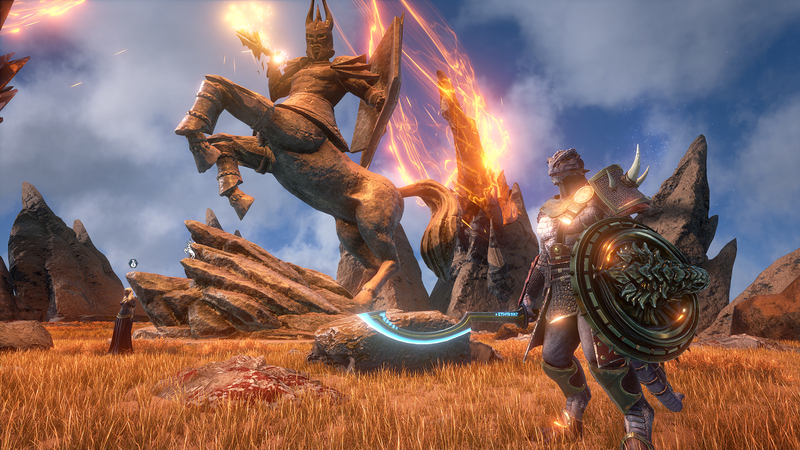 Your feedback will be valuable to us in making Shard of Faith, and Dark and Light a better game. We hope you will enjoy Shard of Faith. If you notice any bugs or if you have any suggestion, please contact us. Thank you! Es gab bissher nur ein Client Update Server steht noch aus !! Läuft gut. Allerdings habe ich ein Soundbug was aber wohl eher am Client liegt. Mir machts wieder Spass D&L zu spielen. erstmal danke für die Bereitstellung des Servers. Wir sind zu dritt seit Release des Addons täglich am Server und werden es wahrscheinlich noch ein paar Wochen bleiben. Gilde heißt Oliphants und besteht aus Diotoli, Lorderon und Morphysto. Problem ist, dass der Server die ganze Zeit lagt. Man wird mehrmals pro Minute um ein paar Meter nach hinten versetzt oder es dauert ein paar Sekunden bis etwas geöffnet wird. Diese Lags bestehen seit ein paar Tagen und sind zeitunabhängig, also genauso zu Stoßzeiten, wie auch nachts wenn fast keiner on ist. Da nicht nur wir dieses Problem haben, sondern sich schon mehrere Leute im Chat darüber beschwert haben, betrifft es also direkt den Server. Deswegen eine Bitte an den/die Admins, sich das ganze mal anzuschauen, ob man daran etwas ändern könnte, da auf Dauer diese Lags den Spielspaß trüben. HEUTE um 14:45 cirka nehme ich den Server vom Netz und Ziehe den auf die neue HW um. Der Server ist bereits fertig es fehlt nur noch das Savefile. Das mit den Lags trat anfangs nicht auf und ich habe es dann, wo sie da waren, es auf meine Anbindung geschoben, da sie nicht die beste ist. Leidensgenossen aus dem Chat habe ich keine bemerkt aber super das es behoben wird/wurde. Danke dafür. Allerdings fand ich die Multiplier vorher besser. Wir sind extra deswegen auf diesen Server, damit wir längere Zeit was zu tun haben. Wenn man quasi in einem Tag Lvl 50 ist oder mit 1 Schlag das Inventar voll hat oder in ein paar Minuten ein Vieh zähmt, fehlt die Herausforderung. Im Chat wurde darüber auch schon diskutiert, dass wir es begrüßen würden, wieder die alten Werte zu bekommen. Wir haben hier 3x XP und 3x Harvest eingestellt. Die Tamingzeit ist auf 6x kürzer eingestellt, an sonsten haben wir Hunger und Durst auf 0.5. Der Schwierigkeitsgrad ist von Standart 0.2 auf 0.4 erhöht worden. Alles Andere ist auf den Standartwerten! Wenn wir was ändern sollen, dann sagt uns einfach Bescheid.